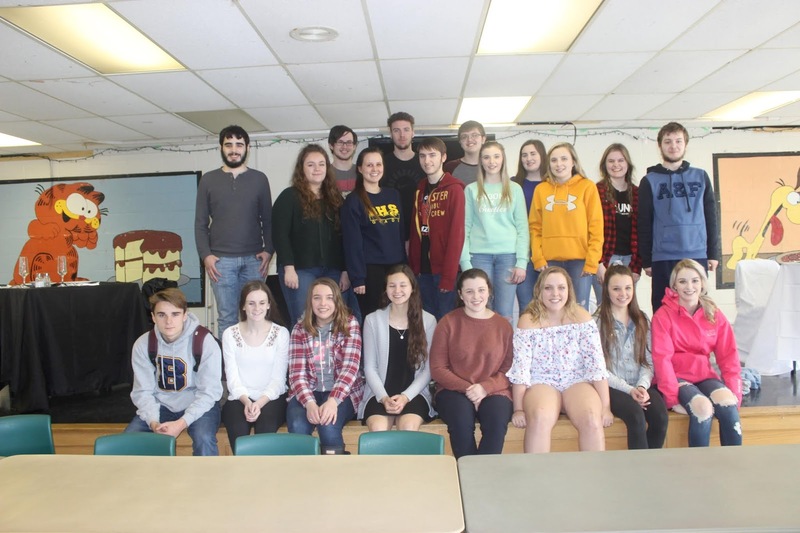 The Blackville High School Drama Club and grade twelve Theatre Arts class traveled to Fredericton to participate in the Annual New Brunswick Drama Festival on Thursday, May 10. The two groups had worked hard all semester to perfect their plays, spending countless hours practicing and doing dress rehearsals, and all of their time and effort really paid off. Both performances went smoothly, and the two groups returned home with a number of awards. "Cheque Please", performed by our Theatre Arts class, was the first to go on. Their performance in the Memorial Hall earned them an astounding 11 awards, including Outstanding Production and Outstanding Use of Set. The awards for Outstanding Supporting Actor went to Darian Donovan, Noah Donovan, Daniel Richard, and Eve Pond. Jules Keenan And Nicholas Hallihan received the Outstanding Actor awards. Samuel Keenan and Cassidy Coughlan also received the Special Adjudicator's Mention for Sound and Lights. Ms. Cheryl Underhill was presented with the Outstanding Teacher Director award as well. 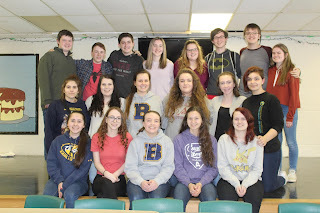 The Drama club performed their play, "Dystopia! The Hungry Maze Game of Divergent Death", shortly afterwards, earning them a total of 7 awards. Nicholas Hallihan, Cassidy Coughlan, Christopher Underhill, and Maggie Jardine received Outstanding Actor awards. Eve Pond received the Outstanding Student Director award. Noah Donovan also received the Outstanding Supporting Actor award. The cast as a whole was presented with the Special Adjudicators Mention for Comic Chemistry. 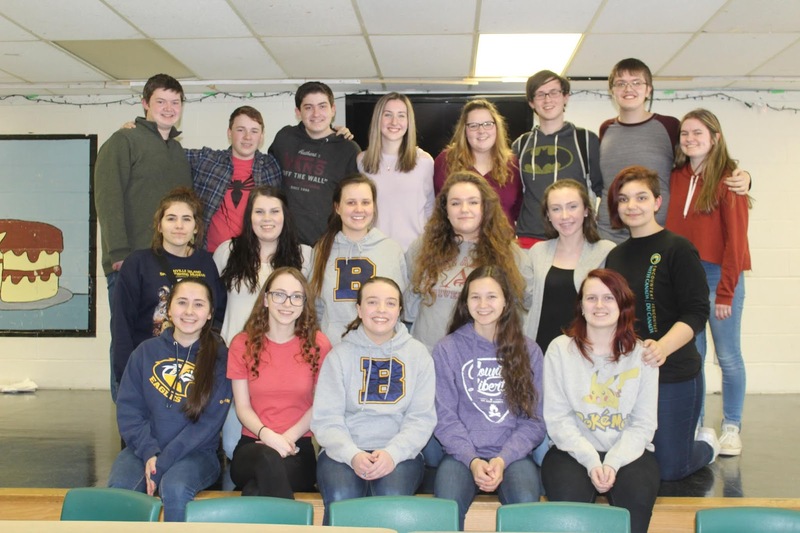 Blackville Schools participation in the 2018 NB Drama Festival was evidently successful. It's safe to say that there is no shortage of talent among our students.